By William Secord. ACC Editions. $55. This lavish coffee-table celebration of the dog contrasts a wide gamut from affluent American lifestyle to rescue shelter dogs, but the chief focus, of course, is on the awesome, life-like commissioned portraits by the Baltimore artist Merrill. Featured are more than 30 breeds from 15 states, including Washington, and 333 color illustrations. And who better to profile each owner and personalize in dazzling detail Merrill’s artistry than Secord, a recognized expert on 19th-and 20th-century dog paintings and owner of William Secord Gallery in New York City, which has represented Merrill since 1990. Each essay assumes a personality of its own, as Secord describes in first person his entry onto the estate and the greeting he receives not only from the owners but their pooches. Merrill’s commissioned photo is showcased in each vignette, along with color photos of the house and yard. Most of the names you won’t recognize, but a couple like Oprah Winfrey and conductor Leon Fleisher, you most likely will. Commission prices are never mentioned, but, rest assured, plenty goes into the finished product. The artist visits the home of each owner to get a total feel of the site and the subjects, discussing in detail how each owner visualizes the finished work. 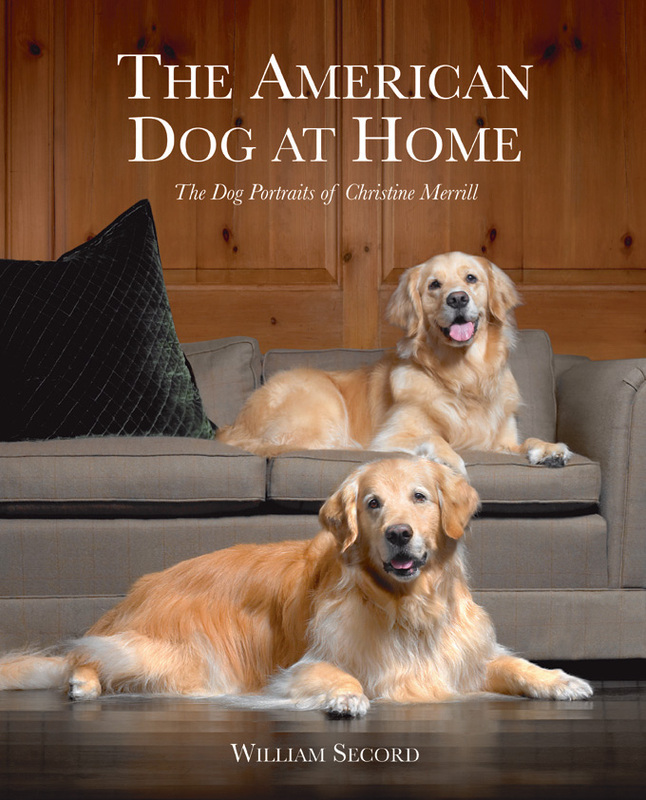 “The American Dog at Home” leaves you in awe of Merrill’s talents and wishing that you could afford to invite her to your home to commission a portrait of that special pet in your life. Merrill’s incredible ability to bring that special pet in an owner’s life back to life on canvas is the ultimate testimonial to a dog artist. And that’s the feel you’re left with after reading Secord’s colorful – and personal – essays, complemented with Merrill’s almost spiritual, yet tender, portraits.